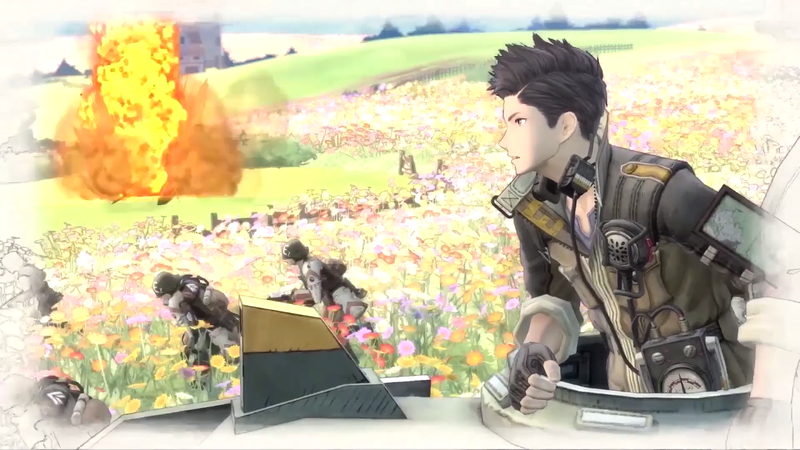 While stories about war aren’t typically something I enjoy, Valkyria Chronicles 4’s complex tactical battles and characters may have found a way to make this one interesting for me. 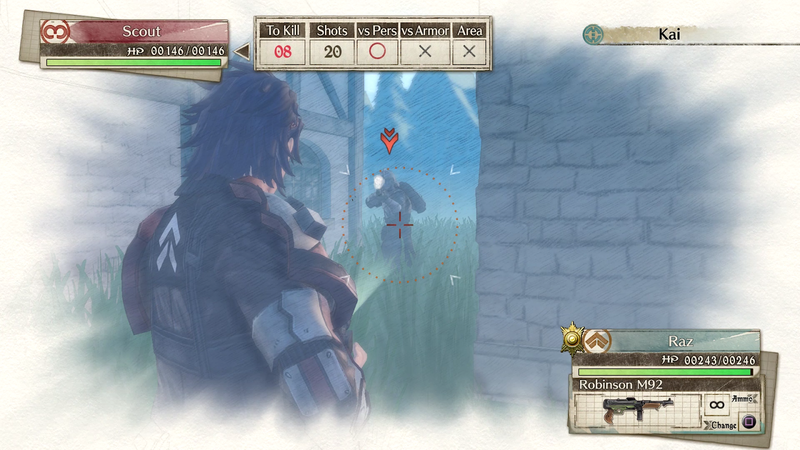 As someone new to the Valkyria Chronicles series, I was pleased to see its tactical battle system that combines turn-based and action gameplay well felt as smooth to play as it looked in trailers and combined the two styles well, along with its artstyle and many deep mechanics making the experience stand out from other tactical experiences. Topped off with a narrative that keeps things feeling light-hearted enough in a story with a serious premise, Valkyria Chronicles 4 is a great tactical experience so far and left me much more keen to try its full game next month as a new player of the series. Valkyria Chronicles 4 is set in what it calls the Second Europan War where the Imperial and Federal Armies are at war due to the scarcity of a rare material called Ragnite that both sides of its continent of Europa rely on. The Imperial Army’s numbers see them coming out ahead in the war, so in a final attempt to put things in their favour, the Federal Army plans a mission called Operation Union Cross. This mission is where things begin and the story follows the Federal Army’s Squad E, a group of regular young soldiers who enlisted to protect their homeland. From that description, Valkyria Chronicles 4 sounds pretty dry and serious, but what keeps this war story feeling fresh is its cast of characters and its mix of light-hearted moments and personal relationships into the more serious premise. The cast of characters are surprisingly easy to relate to for soldiers - the group’s overall dynamic and small humorous moments quickly make it obvious they’re not hardened war soldiers, rather a group of friends that have grown up together. The Squad Leader Claude is a talented strategist and leader, but he’s also more playful with his friends like the loudmouthed Raz and the relationships between the characters and the way they talk to each other with humour and friendly jabs made me feel more invested in what was happening in a story premise I wouldn’t normally be interested in. What I was looking forward to in Valkyria Chronicles 4’s demo was its tactical battle system and the way it combines two styles of combat I liked and I’m happy to say that with the smooth way it manages to combine the two, it didn’t disappoint. I like tactical battle systems generally even though they’re usually a slower way to play, so I really liked how Valkyria Chronicles 4’s active twist on this style of gameplay made things feel much faster. You place units on the battlefield and take turns towards completing goals, like capturing enemy bases like in other tactical JRPGs, but instead of placing them on a grid, everything is done on a 3D field where enemies can attack you while you’re making your turn if you’re within sight of them. For example, if you place a unit directly in front of an enemy unit, they’re not just going to wait until their turn to attack you like in other tactical games; they’re going to attack you right now because you’re in front of them, so there’s much more strategy in placing your unit somewhere smart and attacking from there or trying to get the first hit in so they can’t. These instant consequences to a wrong move made every move feel like it mattered and I found myself thinking about my turns more and being overall more engaged and while I still enjoy traditional tactical combat systems, I feel like this one made a lot of sense and is something I’d like to play with again sometime. On top of its system being well done, there are also other bits of it that make it good. It uses classes like in other tactical systems, with some being simple classes like Shocktrooper and Lancers that can deal damage to different types of enemy units. Then there are also classes like Grenadier which allows your to shoot grenades to enemies far away and up high, along with Snipers and Tanks that provide a different way of using the field due to how they move and attack. 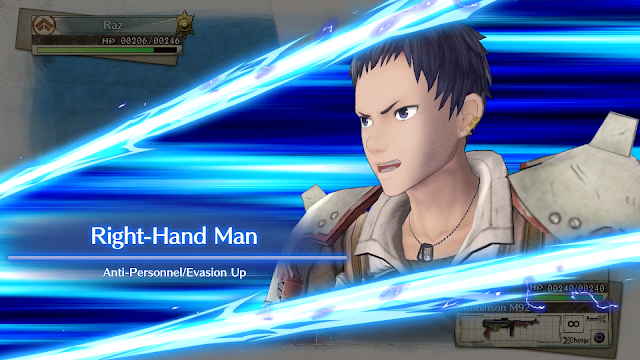 These classes mixed with other things like random buffs and debuffs that can happen based on how the battle is going, along with mission goals changing based on story events mean that this active system was constantly engaging and whether it was thinking of how to use a unit properly or adjusting to something that suddenly happening, there’s an intricate system to master in Valkyria Chronicles 4 and I’m already excited to learn what other mechanics will appear in its full game that will make battles even more interesting. With battles being on a 3D active field rather than a grid, between battles and story moments, it was great to finally see Valkyria Chronicles’ distinct canvas animation style in action and it looked just as good as I expected. On PS4, the style looked sharp in both cutscenes and on the field and the watercolour feel of it combined with an anime style works surprisingly well together and fit the idea of Claude documenting the journey in his notebook well. I also gave Valkyria Chronicles 4’s demo a quick try on Switch to compare the graphics and performance and performance wise I didn’t find much difference - load times were similar and I didn’t have any problems while playing one of its missions. I found I preferred the Switch version undocked though, as I found on TV it lacked some of the sharpness the PS4 version had on a bigger screen, but looked very smooth while playing in handheld mode. The portability of the Switch is always attractive, but I also prefer the sharpness of the PS4 version, so this will come down to personal preference for most people. For me, I think I’ll stick with the PS4 version because I want to see its unique aesthetic look its best, but I always appreciate these kind of experiences being on the Switch as well. 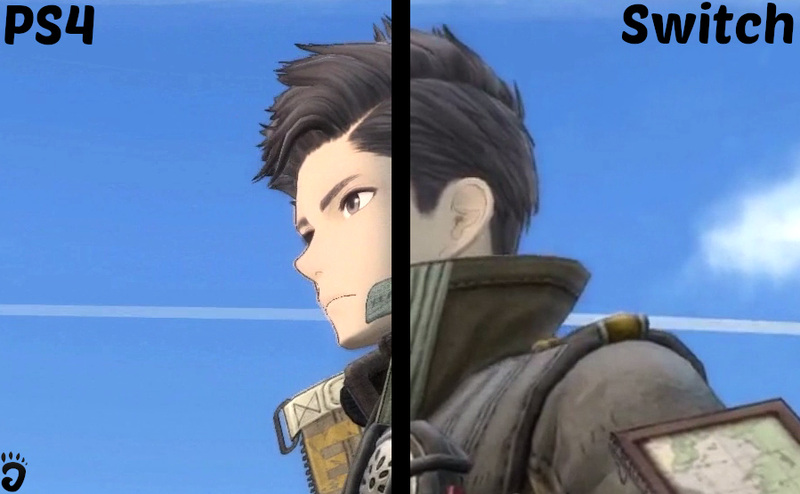 As for the rest of Valkyria Chronicles 4, with lore in the form of news articles and options to get to know its characters better in the rest of the story and in events offered in its menu, the experience looks good so far. There’s equipment upgrading systems along with training ones that were easy to use that I’d like to get to know more and I’m sure the full game probably has a few more mechanics hiding up its sleeve as well. In saying that, the demo showed its fair share of mechanics and so far the world of Valkyria Chronicles 4 looks well thought out and interesting even just from playing a few hours. I definitely recommend giving the demo a try if you’re curious about the series since it has a bonus mission as well and with it being a few hours long, I’m glad I could get a good feel of how deep this tactical JRPG experience will be and that I left it feeling fairly positive. As my first look at Valkyria Chronicles 4 and its series, the deep nature of its battle system and world has me intrigued so far. Its take on tactical battles kept me on my toes in its detailed battlefields and with characters that are more relatable than your average soldiers, I was left wishing this demo wouldn’t end. As my first taste into a popular tactical JRPG series, Valkyria Chronicles 4 didn’t disappoint thanks to its depth and the relatable characters and I hope that in its full game it continues to impress me by showing me more of how deep and strategic action battle can be in what seems to be a great take on tactical JRPGs. You can try Valkyria Chronicles 4's demo on PSN, the Microsoft Store and the Nintendo E-Shop and you can pre-order the full game on Amazon! Did you play Valkyria Chronicles 4's demo? Will you be picking up the full game?